I collaborate with your company to develop customized fun, interactive and informative programs. I am driven to help motivate and inspire your employees, keeping them engaged and focused on improving and bettering their health and attitudes toward fitness and personal goals. Packages are specifically designed for each organization in order to target employee’s individual needs. Interested in bringing Corporate Fitness or Lunch and Learns to your organization? Please contact me at hello@cassieday.ca! 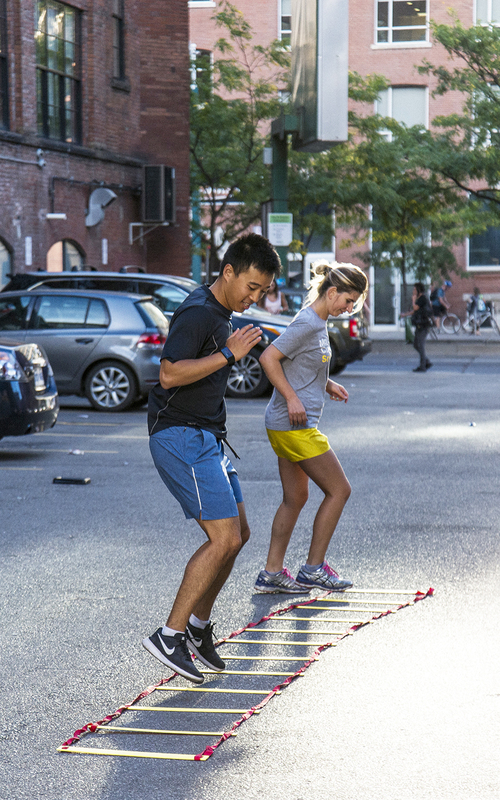 It’s valuable to encourage workers to incorporate physical activity during the workday. 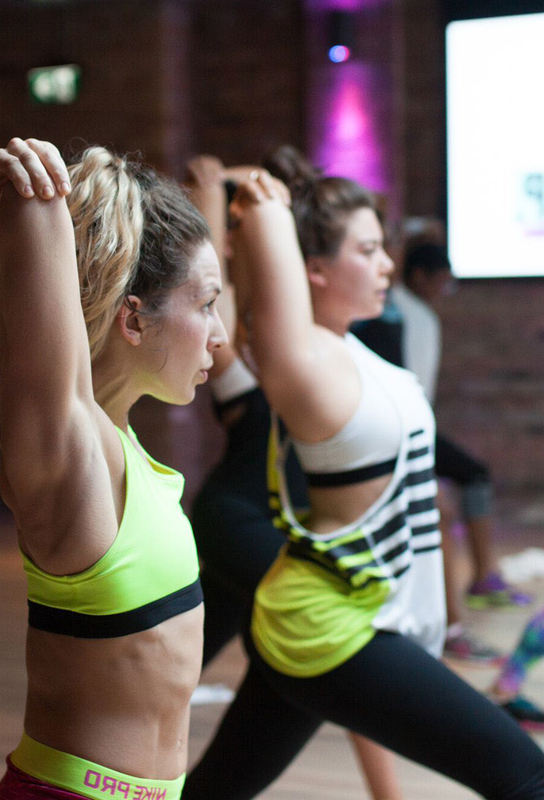 Who doesn’t love a quick sweat session to break up the day? These sessions introduce wellness to participants through an interactive presentation that highlights the need to Make Wellness a Priority. These sessions are designed to provide participants with realistic expectations and sustainable tools for a well­ balanced healthy lifestyle. Topic ideas include, but are not limited to the following list. Depending on the session, food preparation, tasting and demos are available. On the job flexibility and strength training – be prepared to move and have fun! After finishing my post secondary degree, I opted for a job in the corporate sector. Eager to start a career in digital marketing, I felt this was the only way to gain experience and be considered in the professional world. I was working close to 50 hours a week sitting behind a computer screen, stressed over deadlines, and oftentimes gazing out the window counting down the hours. Finding a “work/life” balance is a something most people struggle with, and often we lose sight of what is important in our everyday lives. For most of us, sitting for an 8 hour day, 5 times a week is inevitable, BUT, there are a lot of things we can do to mitigate the effects of sitting at a screen for long periods, and the build up of daily stress. Keeping our body strong and our minds sharp is something that remains important throughout our entire lives. Workplace wellness programs have begun to gain traction with many companies capitalizing on the importance of health and wellness. Typically speaking, a healthy employee tends to be happier and more productive. This is the key to positive workplace dynamics and what can become a nurturing and holistic environment and company culture. Planning wellness initiatives for your company can be challenging. You have to take into consideration the different athletic capabilities of the people you’re catering to, different interests, methods of motivation, and the list goes on. The most important and surprisingly difficult task is finding instructors who have the ability to engage, motivate, inspire, and get people to class. Although people had been going to classes I was having a really hard time keeping attendance levels up. Cue Cassie. 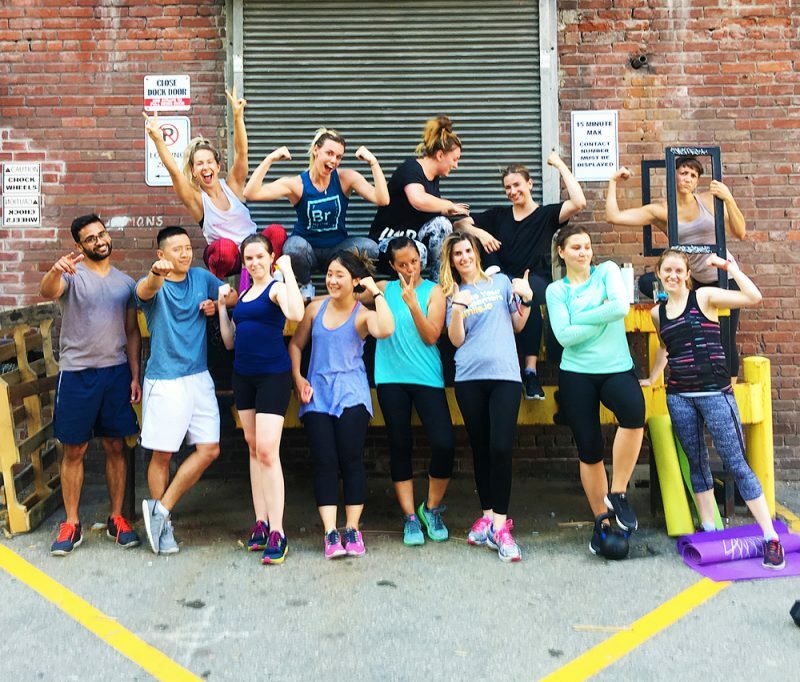 Having Cassie run her bootcamp sessions for us was like a breath of fresh air. I initially introduced bootcamp as a 4 week experiment to see if people would bite and not only did they bite but they asked for more. Not only are no two classes ever alike which keeps people coming back, but Cassie’s passion for what she does and infectious personality motivates everybody to push themselves. Cassie’s bootcamp has quickly become the best attended class and I can’t wait to build out the programming even more.